These cups are an absolute bliss!!! 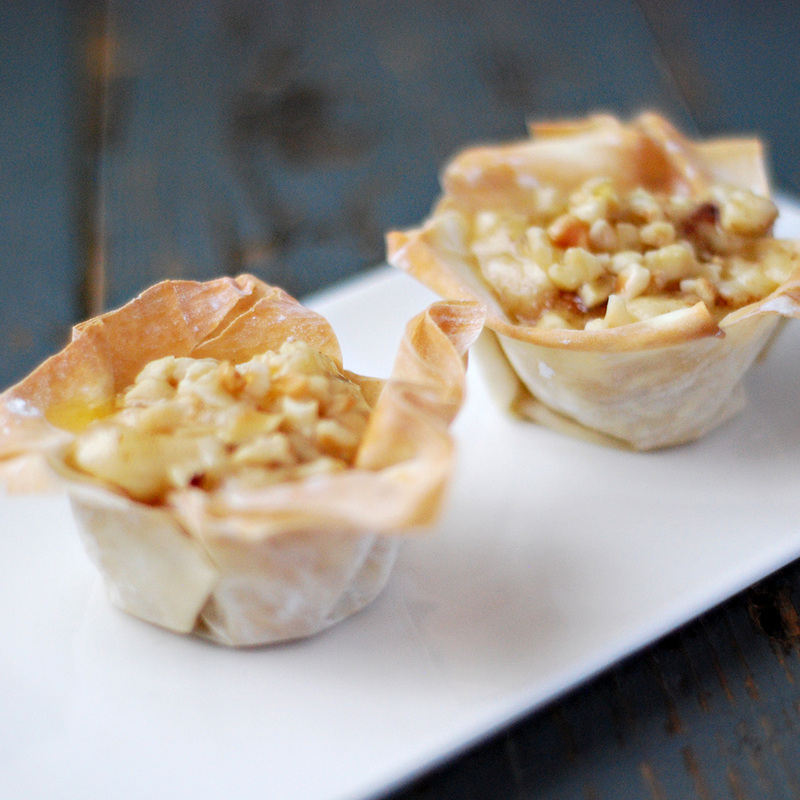 It’s a perfect party nibble as two sheets of filo gives you 16 cups. You don’t have to use them all at once but for a fresh and crunchy texture put in the filling just before serving. Place one sheet of filo on top of the other and cut them in half and each half in four. Place two sheets per whole of a muffin tin and bake it at 200C for 7 minutes or until they are golden brown. Transfer the filo cups to a wire rack to cool down. Mash the banana with the cinnamon, sugar and lemon juice. Pour two tbsp of the banana mixture into each cup and top with hazelnuts and a drizzle of golden syrup.